I am deep in the revision trenches right now. Which may sound like a grim place to be, but it’s not, because I love to revise. I never send off a piece of writing until it’s the best I can make it — but that doesn’t mean it can’t get better, especially with another pair of eyes. I’m lucky to have had several readers for the next Ra book, and every one of them has made some good suggestions. My editor is the latest person to have sent some wonderful notes, which have helped me to see the book from a different angle. If you take its Latin roots literally, to “revise” means to “see again,” and that’s what I’m trying to do now: to truly re-envision parts of the book. It’s challenging work, but very satisfying. 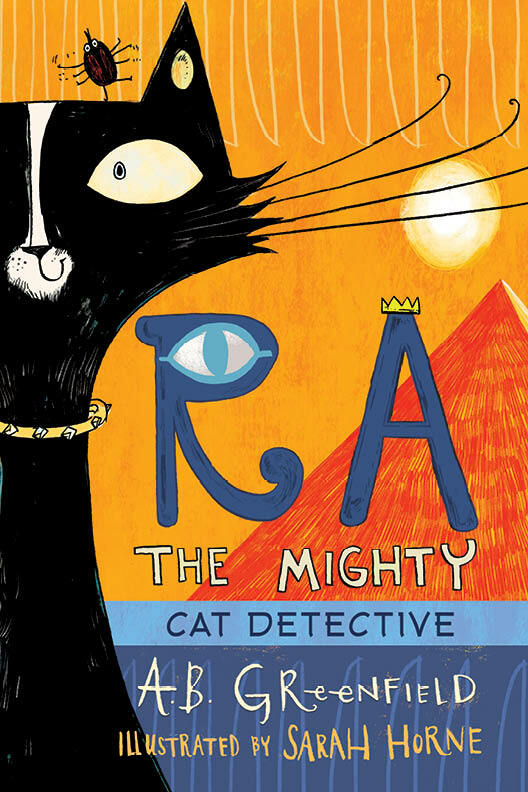 I’m also cheered because the first Ra the Mighty book continues to get great reviews, including this one from lovely blogger Melissa at Melissa’s Mochas, Mysteries, and Meows. I’m also hugely grateful to Paula Harrison and Mo O’Hara, who wrote some wonderful words of praise for the cover. And look at what came through my letterbox this week — my first author copy of Ra the Mighty! The whole book is beautifully crafted. It’s hard to see from the photo, but Ra and Khepri are done in a shiny finish, so they catch the light, while the brilliant background is matte. My thanks to Sarah Horne and the design team at Holiday House Books for the fantastic art and design! I also got my first look at the spine of the book, with Ra’s eye looming large. That means I now have TWO books with a single eye featured on the spine. How many authors can say that?! I always get anxious when I’m waiting for the reviews to come in on a new book. I’ve learned to work through it, but the shadow of worry is still there, ready to pounce in any quiet moment. So I was thrilled and relieved to get a fantastic review of RA THE MIGHTY from Kirkus yesterday. Maybe I can stop holding my breath now?